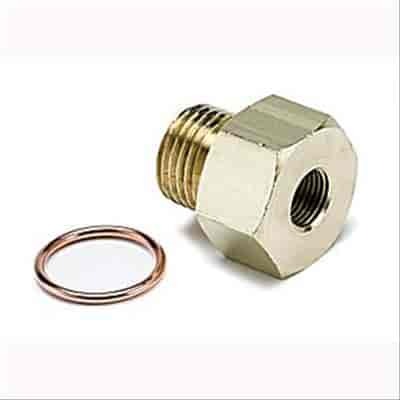 2268 - Auto Meter Adapters, Extensions & Fittings is rated 5.0 out of 5 by 3. Rated 5 out of 5 by Tusc from Glad to find it Love it. C5 vettes, as they age, can be known to lose their oil psi sending unit which is located wayyy behind the intake where your hands won't go. Instead of pulling the intake again ( now a fast 92 with an A&A P1sc) I decided to remote mount the sensor under the fuel rail cover. This piece is the main adapter which screws into the block. Very handy!